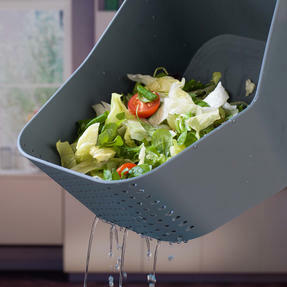 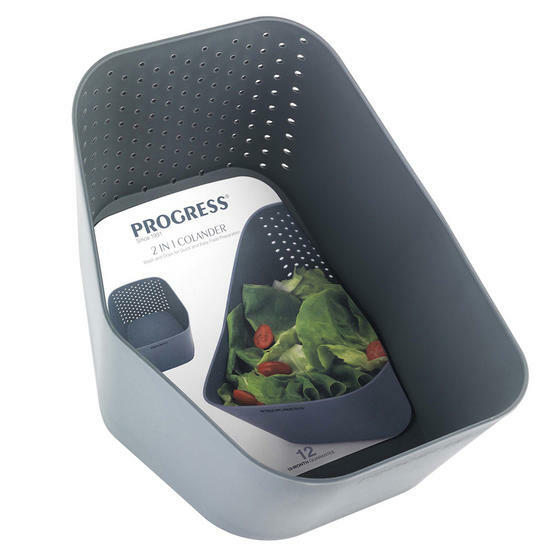 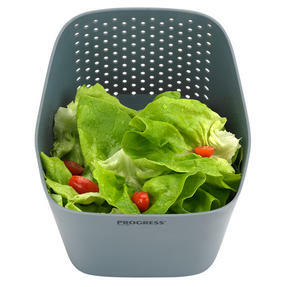 Perfect for preparing salads, fresh fruit, pasta and many more tasty ingredients to add to your dishes, this Progress 2 in 1 colander is a kitchen essential. 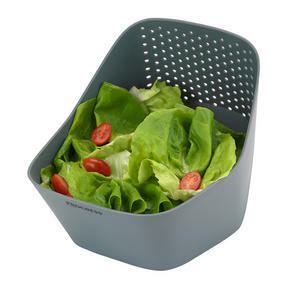 The smart design features a large bowl, so you can wash family-sized portions with complete ease and then effortlessly tilt the bowl to drain through the colander on the other side. 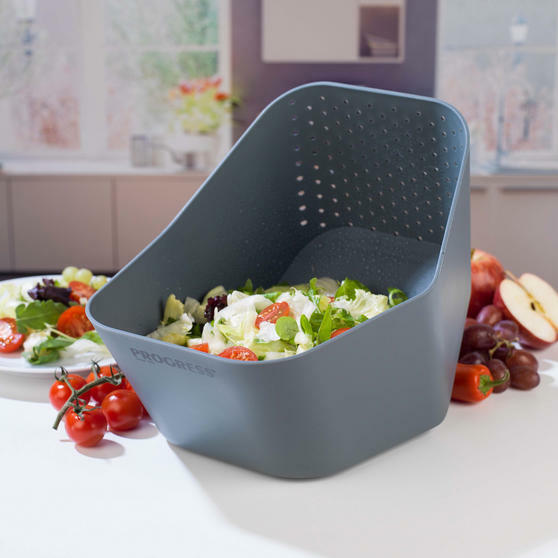 With a non-slip thermoplastic rubber base you can prepare meals on your kitchen worktop, then simply wipe the colander clean or place it in your dishwasher. 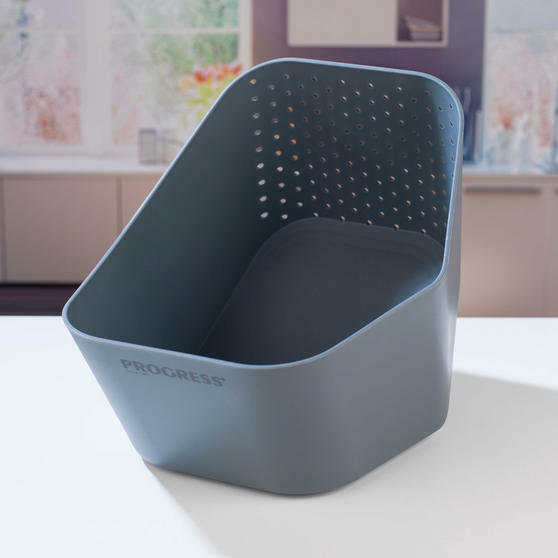 With this Progress colander you can prepare a variety of ingredients to add to delicious meals for your friends and family to enjoy. 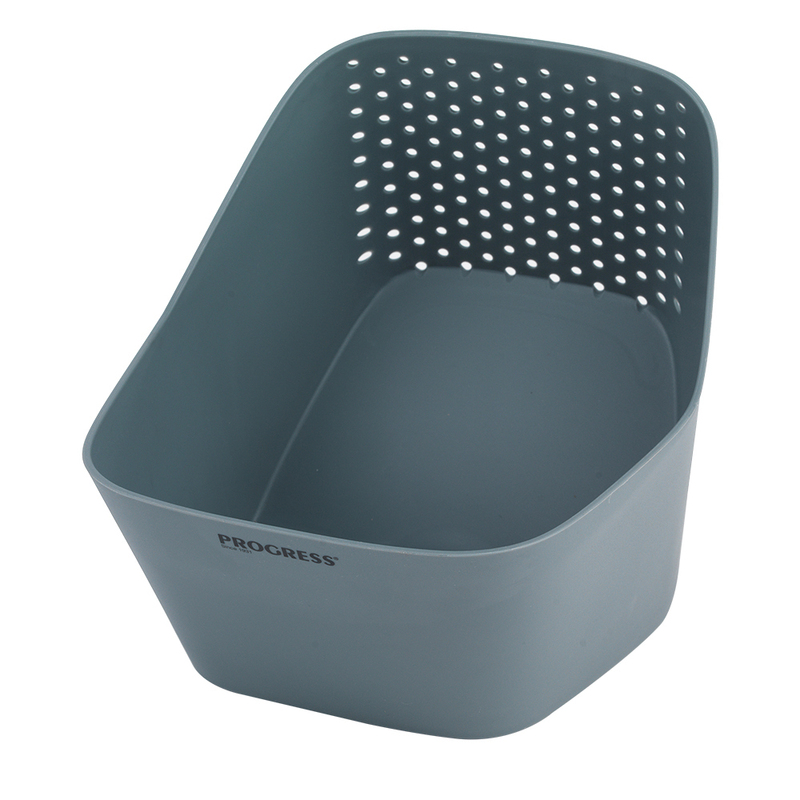 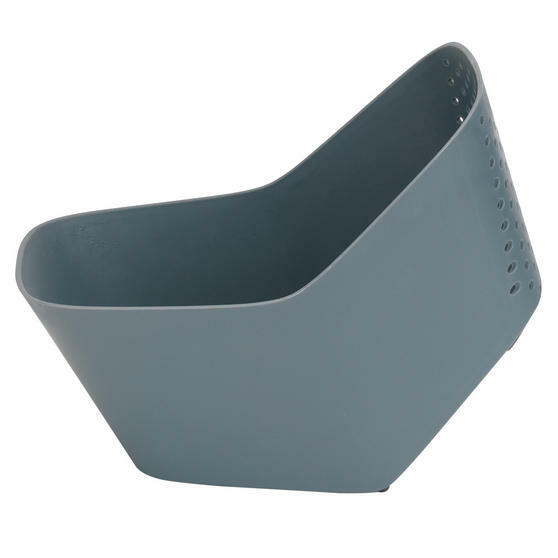 Measuring at 22.6 x 26 x 22 cm, the colander has a very generous capacity for your food and takes up minimal storage space after use. Made from lightweight plastic and with a rubber base for extra grip, the colander is versatile for all of your food preparation needs. 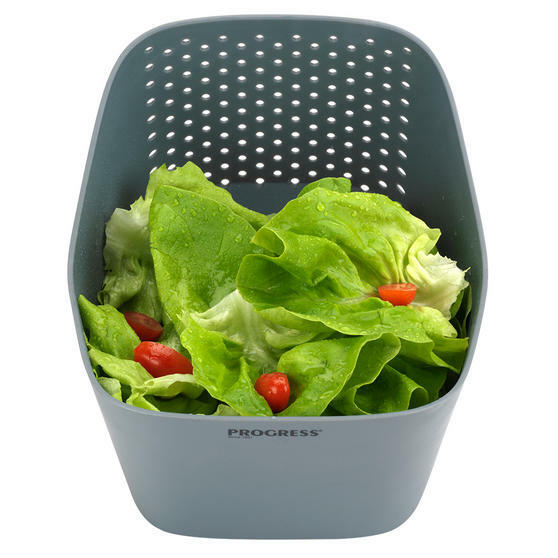 The colander is incredibly easy to clean – simply wipe away any leftover food with soapy water or you can clean it in your dishwasher.